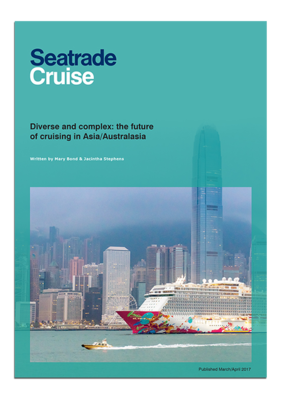 Download the report now to hear the opinions of Cruise Line Executives on building and/or customising ships for the China market following the insightful Asia/Australasia panel discussion at Seatrade Cruise Global. In this report, the spotlight is on South East Asia and Australasia , as well as a re-shuffling of itineraries in North Asia - post the China ban on passengers visiting South Korea. Find out how China's suspension of permission for its people to cruise to Korea, announced mid-March, had cruise lines already operating out of Chinese ports, and those lined up to start sailing in the coming months, scrambling to reschedule. There is also a focus on the South East region, specifically China and India. Find out how they continue to grow as strong source markets making the outlook for South East Asia buoyant. Download the FREE report now! Are you interested in cruise events in Asia?